Just wanted to drop in to say I’m liking these recent posts on your thoughts about therapy. Your focus seems to be on the not-going-so-well part, to which I have nothing very insightful to add. But it’s interesting to hear about it from your perspective. Also useful, because it gives me a bit more understanding about people I’ve met with similar issues to my own, but who have tried therapy only to come away with strongly negative view on it. Thanks! Yeah, my interest in exploration comes from the number of interactions I’ve had with people who have tried therapy, expecting it to be helpful, only to hate the experience. Great post! Although I don’t think this has been my issue with therapists primarily. I THINK the reason I didn’t trust them was just because the tone they took was too “professional,” too adult-y, and too occasionally condescending. I never felt like they wanted to understand me rather than fix me. It sounded too much like a therapist in a bad TV show. I had a single session with an LCSW who was much younger than the others had been and she and I really connected, buuuut I couldn’t keep going because my insurance wouldn’t cover LCSWs. Yeah, that doesn’t sound like what I’m describing here. It seems odd to me that a therapists wouldn’t ask a client what they want to focus on and periodically position check to make sure things are going in a productive direction. But that probably is the difference between the collaborative and the authority mindsets. I can’t really think of a solution to the “not getting it” problem from the client perspective though. 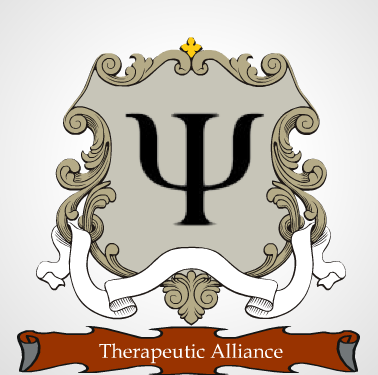 Well, sometimes you kind of know (or eventually realize) that the therapist is in fact not on your side. I pretty much decided then and there that that was my last session with him. As I drove home, I felt an enormous sense of relief that I wouldn’t have to defend myself to (and from) him ever again. I don’t know how he thought he could do therapy with me when he was constantly doing things that made me feel like it was not safe to tell him anything really personal. My biggest regret is that it took me several months to realize (accept?) that this guy was no good for me. It didn’t help that another one of my issues is a lack of confidence in my own judgement, so his constant whittling away in my self-confidence made it harder to see that he was the problem.